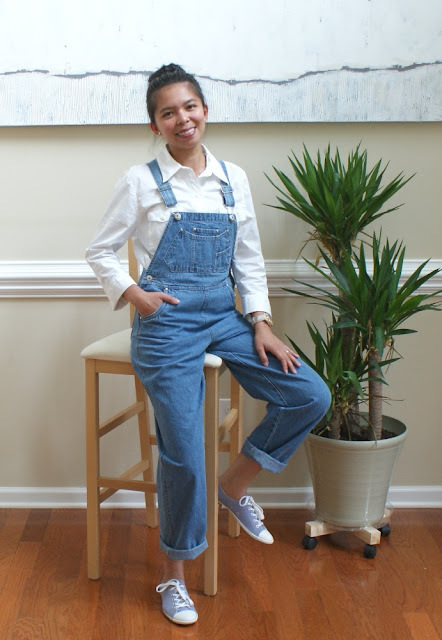 Hello Happy Times: Casual Outfit: Styling Overalls! A vintage find overalls from the 90's is the highlight for today's outfit. I paired it with a white long sleeve & converse shoes. 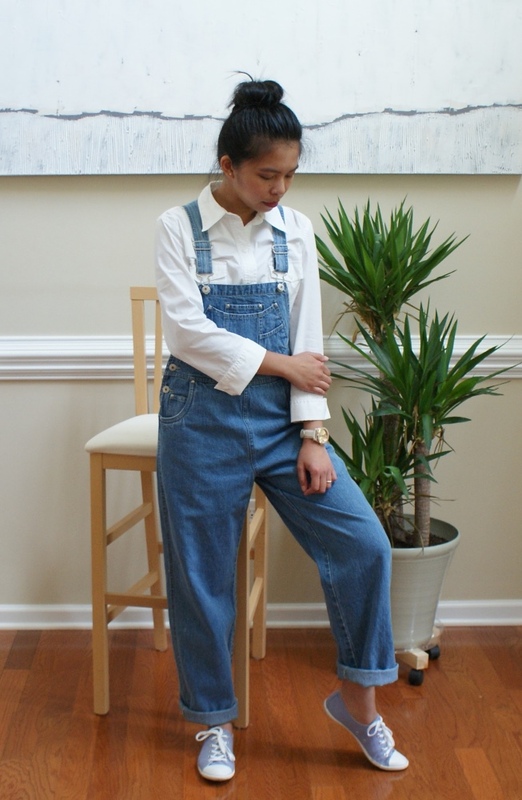 Casual & comfortable. It can easily be styled with any top. But this one is my favorite. Thanks for stoppin' by & have a lovely week!